With the Huawei LTE CPE B310, a new 4G Router Huawei B315 is also now available with LTE Category 4 technology. We had introduced Huawei B310 router and today, we will have a review about Huawei B315 LTE CPE. 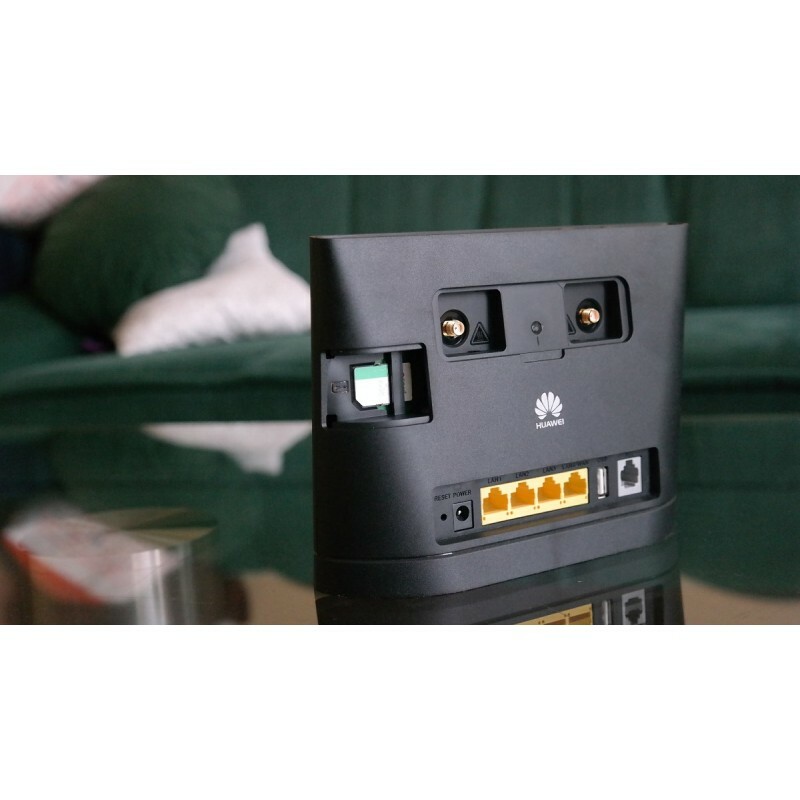 The Huawei B315 is packed in a simple cardboard box with power adapter, Ethernet cable and Quick Start Guide. The router itself is made entirely of matte-white plastic and having dimensions of 186 x 139 x 46 mm. Huawei B315 weights about 275 grams excluding the power adapter. LTE CPE B315 is designed trapezoidal, below it is significantly thicker than the top. Thus, the router could stand safely on the ground. On the front, you can see the five LED indicators for power, wireless network connection status, Ethernet and reception signal. In addition, a small Huawei logo is below the LED indicators. 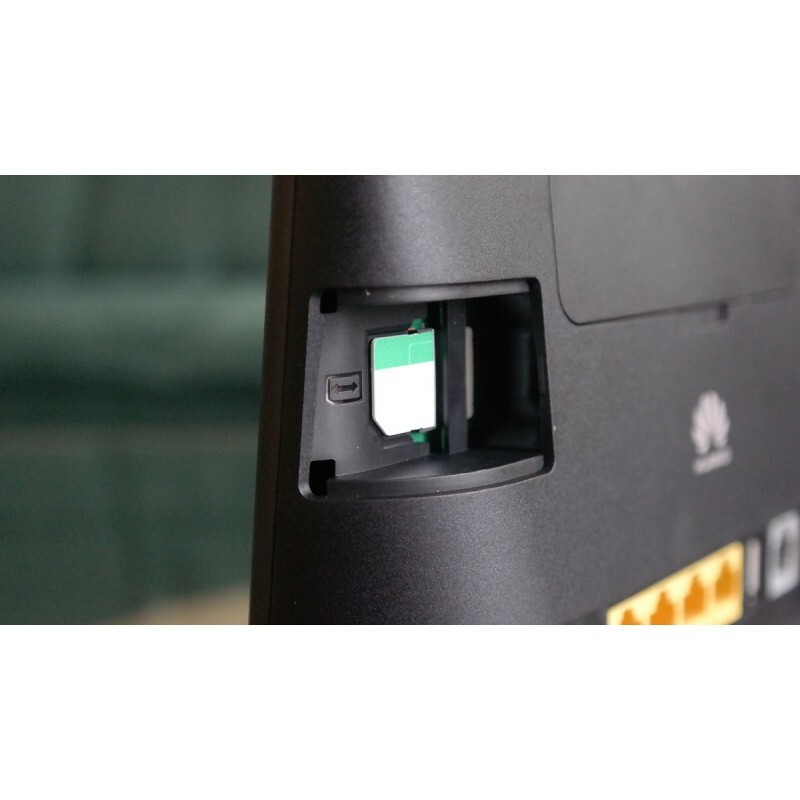 On the top of the Huawei B315, there is power and WPS button. On the right side, the SIM card slot is covered by a cap. The CPE B315 use standard Mini SIM 2FF form factor, Micro and Nano SIM must go with adapter. All the other ports are listed on the back of the router. There are two connectors for external antennas, four RJ45 ports for Gigabit LAN connect, one RJ11 port for telephone and a USB 2.0 port for SD sharing. Unlike the flagship model Huawei E5186, Huawei B315 could support peak download speed to 150mbps and upload speed to 50Mbps. The LTE Category 6 is not supported by B315. On UMTS network with DC-HSPA+ technology, B315 could achieve downlink speed to 42.2Mbps and uplink to 5.76mbps. And the B315 is also backward compatible with GSM and EDGE. Huawei B315 has four Gigabit Ethernet ports, so user can enjoy the LTE speed at any time. Up to 32 devices could connect B315 at the same time and theoretically up to 300Mbps via 802.11b/g/n. Unfortunately, the router transmits only at the frequency range of 2.4GHz. According to Huawei, the wireless coverage is up to 250 meters, which is very good for an LTE router. User can connect an analogue telephone via the RJ-11 connector, and easily make calls via the SIM card in the GSM or UMTS network. Voice over LTE (VoLTE) is not supported on Huawei B315. And the VoIP is possible in the Web interface, but you can’t find a corresponding menu item for configuration. The configuration and control of Huawei B315 could be done through a browser web interface (IP: 192.168.8.1). In addition to set options on various topics, there is also the possibility to view statistics on data usage and online time or to deposit appropriate limits. There is also the ability to share data across the network through a connected USB stick or a USB hard drive. If desired, a configuration via Smartphone or Tablet App is possible. The Huawei B315s-22 is a new LTE router for stationary use. The design is attractive and the interfaces are up to date. In daily use, the device has very good reception with convincing wireless coverage range. 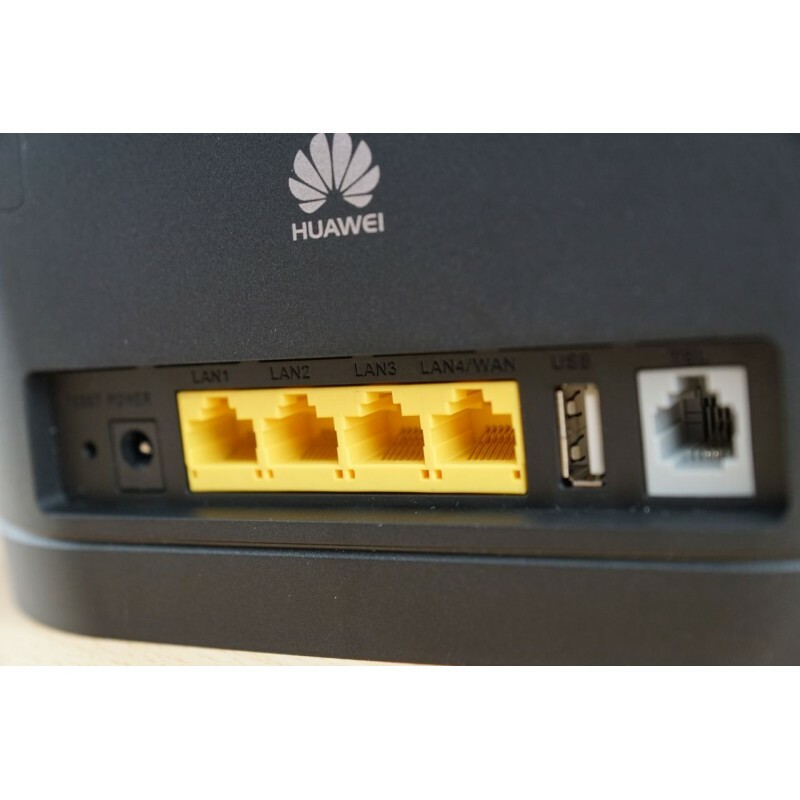 If you want to get a router with higher speed connection, then Huawei E5186 4G Router may be a good option.